Touch a Truck is a free family event where kids can come and look at various types of trucks and vehicles. 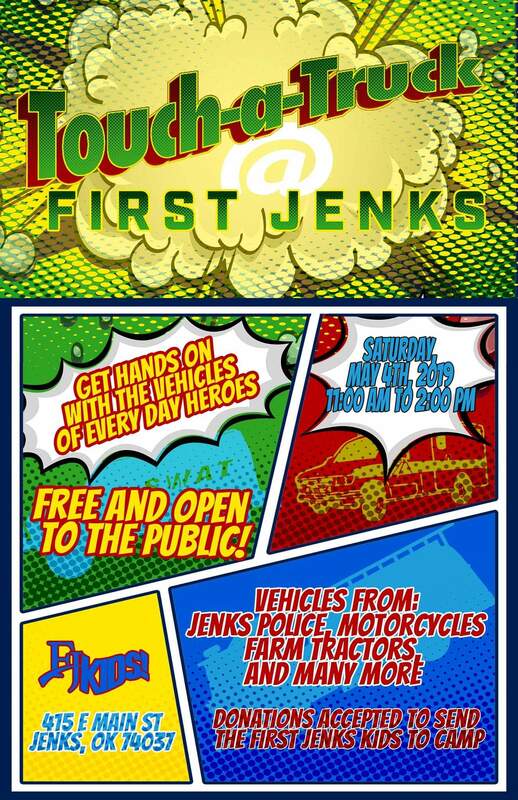 The Jenks Police and Fire Department, Tulsa County Sheriff’s Office, Tulsa City County Library Bookmobile, a farm tractor, and a local radio station van are some of the vehicles that will be on display. We will have bouncy houses and our playground will be open as well. Free die cast trucks to the first 150 kids.